Clubs often start so that people in the same location can bond over their similar interests. For the New England Patriots Fan Club Switzerland, it was important to connect with other Swiss Patriot fans as well as Patriot fans worldwide. When Nadine Schenkel and Marco Hösli met in 2013 and learned they were both Patriots fans, their excitement went through the roof. By early 2014, they began floating the idea of forming a Patriots fan club. The idea began taking shape before the 2014 preseason when Nadine worked as an au pair in Providence, and the two, along with Kevin Hofstetter and Philipp Stöckli, registered the club on the Fan Club and Bar Registry. Once Nadine returned the group agreed on their statutes. “The first season for the Patriots for us was a very good season, with the Super Bowl,” Marco said. Since then, the group has increased to 20. 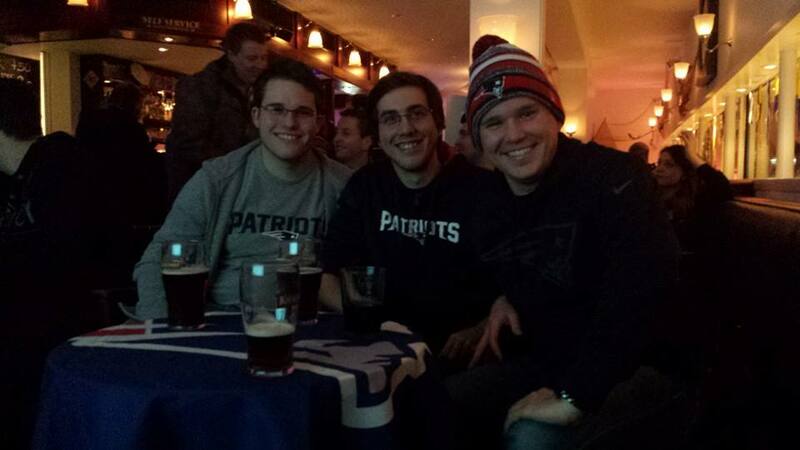 Though the group is still new and growing, New England Patriots Fan Club Switzerland credits the growth of their club to social media. Whether it’s facebook.com/swisspatriots, Twitter or other social streams, they’ve been able to reach out to other fan clubs across the world. The group also makes an effort to congratulate international fan clubs when they are Fan Club of the Month. Another way the group connects with other Patriots fans is through the Facebook group Patriots Nation Worldwide. As American football continues to grow abroad, the Swiss fan club uses Facebook to meet other fans of the sport. “With this idea, I’ve started to check the Patriots Fan Club Registry to find the presidents or people from other fan clubs,” Marco said. The Facebook group has helped them to plan trips to the States to see the team play live. In October a few members of the club will make their way to Boston where they’ll watch the Bills game, and then they head to Cleveland to see the Browns game before coming back to Massachusetts to watch the Bengals game. “On the Facebook group, there [are] fans that organized the tickets for the Browns game,” Marco said. This year, they began a new activity: their Switzerland road tour. They’ll travel around Europe visiting other fan clubs. For Marco and many other fans in the Swiss club, it’s important to celebrate everything that a fan club does. Being able to share the victories with other fans at “Game Day Live,” their watch party, helps to make the experience more memorable and special than when you watch at home by yourself. Watching the games isn’t the only way the club tries to bond with fan clubs around the world. When they can, the Swiss fan club tries to plan events and activities together. The group also takes time to bond with each other outside of game day, like sledging [sledding] and skiing during the winter. During warmer months they visit fun parks, like Europa Park in Germany, and throw barbecues in July. “[The other day] we were in Germany in the fun park [or amusement park] together, and there’s little events where we have option to meet other fans,” Marco said. The group considers its home base the Glasi Pub in Hergiswill when they aren’t busy driving around Europe. Though the group battles the six hour time difference, they always find themselves sitting in front of the screen to catch the games that begin at 1 p.m. Eastern Standard Time. 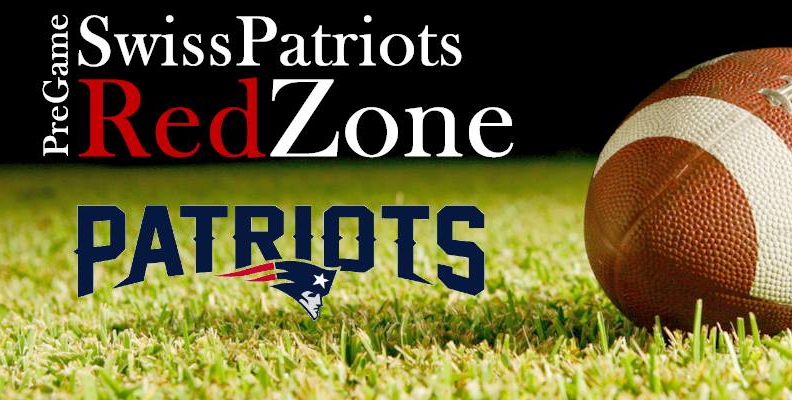 A special thanks to Lauren Williams, Lifestyle Staff Writer for Patriots.com. (C) by Patriots.com // Link to the article. Thank you Patriots! It’s a honour.